The 2019 Melbourne Dog Lovers Show presents the all-new Vitapet Arena with a wide array of talented K9s, new shows and our all-time favourites! Visitors will be wowed by The Wonderdogs’ brand-new ‘Party Show’, the inaugural K9 Ninja Challenge Competition, Drag-Racing Flyball Spectacular, and incredible tricksters in the UpDog Skipping Challenge! About Dr Katrina Warren, Kelly Gill & The Wonderdogs: Much-loved TV vet Dr Katrina Warren has teamed up with professional trainer Kelly Gill and the Wonderdogs again. A team of impeccably-trained chocolate Border Collies, they are ready to bow-wow-wow you with their new party tricks. Kids will LOVE this show. A quick insight into Farmer Dave Graham: He’s bred, raised, trained, coached and loved tens of thousands of Dogs throughout Australia and around the world. 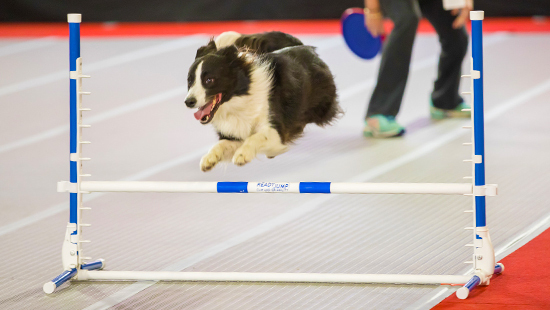 This year, we can’t wait to see Dogs from around Australia competing in his new K9 Ninja Challenge competition as they race across ladders, bounce between platforms, jump through hoops and more! Get to know Rodney Gooch: ‘Goochy’, as he’s known, has trained Dogs for 25 years, specialising in TV and film work, trick and target training, solving K9 behaviour problems, as well as presenting extreme Dog sports. The all-new UpDog (straight from the USA!) 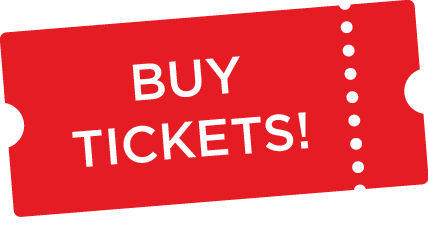 sees frisbee-catching and Drag-racing Dogs that will WOW visitors at the 2019 Dog Lovers Show. Move over boring balloon-benders, the performing Wonderdogs are in town to rock this birthday party! Confident and motivated, this happy pack of chocolate Border Collies enthral with their obedience and agility. Trained using positive reinforcement with lots of rewards, these seasoned professionals have appeared in countless movies and TV shows. No RSVP is required to be in the audience when the Wonderdogs hit centre stage with their brand new 30-minute show, packed with furry fun. Join the party! Who will be crowned Dog Lovers Show K9 Ninja Challenge in 2019? Four-legged contestants, from all walks of life and corners of the land, will go claw-to-claw to compete in the greatest obstacle course ever created for dogs. Pitting canine competitors (and their handlers) against each other in an extremely difficult obstacle course, this K9 Ninja Challenge comp will sort puppies from pawthletes. Competitors vying for the title of 2019 Dog Lovers Show K9 Ninja Challenge will aim to soar where others simper; bark where others balk. When the command is given, they’ll leap between sharply-angled platforms, defy hanging rings, weave through wind chimes on the balance beam, and ascend to the heights of the pillars of Hercules. Pausing at the half-way point, the teams will then climb fireman’s ladders, propel themselves into the circular tunnel and out onto the raised vaults from platform to platform, then shoot through another tunnel to sniff out and retrieve a hidden ninja . Panting hard by now, these wannabe ninjas will regroup before taking on the summit of Mount Pawiusko and hitting the buzzer to stop the clock. Anything is possible and nothing is an obstacle in K9 Ninja Challenge! Witness the greatness – live! Farmer Dave Graham knows dogs. He’s bred, raised, trained, coached and loved tens of thousands of dogs throughout Australia and around the world. From National Champion, Indian Street Dogs, Wild Dingoes, International (Performing) Stars to the best little work mates to keep a stockman company; this fun loving larrikin has worked with a huge variety of dogs in his time and brings his unique hosting style and abundant love for dogs to the 2018 Dog Lovers Show. Listen up, party people. It’s not often that an entertaining op-paw-tunity like this comes along. Those celebrity chocolate Border Collies – the Wonderdogs – are back and they’re going to show us how to party. If you like watching true professionals perform at the top of their (party) game, in the flesh, diarise this show. Bread and butter party classics, like Pass The Parcel, Musical Chairs & Limbo, will definitely be on the playlist as well as the Wonderdogs’ other favourite tricks. A shindig like no other, the Wonderdogs will blow you away with their high-energy show in the Vitapet Arena. 1:00 pm Fabulous Flyball - Drag Racing for Dogs! Is the next Flyball Champion at the other end of your leash? Fast and furious from go-to-whoa! the team sport known as Flyball showcases activities Dogs love most (walking, jumping, fetching, retrieving, tugging and running fast) but, most of all, it demonstrates one thing: a Dog’s drive to be rewarded, either with a treat or a game of tug-of-war, by their human. A canine competition sport in Australia since 1997, Flyball is played in more than 40 clubs, Australia wide. Cheer on your favourite team in the Dog Lovers Show Flyball Racing Championships – Flyball Drag Racing for Dogs! You could have the next Flyball Champion sleeping at the end of your bed. Come along and we’ll show you where to start and how to get your best friend race-ready. Rodney Gooch or ‘Goochy’ as he’s known, has been training Dogs for 25 years, specialising in TV and film work, trick and target training, behaviour problems as well as extreme Dog sports including Flyball, Canine Disc (Frisbee) and Canine Dock Jumping. Goochy is heavily involved in the Pet Industry promoting training, environmental enrichment and pet nutrition. When the starting command is given, they’ll leap between sharply angled platforms, defy hanging rings, weave through wind chimes on the balance beam, and ascend to the heights of the pillars of Hercules. Pausing at the half-way point, the teams will then climb fireman’s ladders, propel themselves into the circular tunnel and out onto the raised vaults from platform to platform, then shoot through another tunnel to sniff out and retrieve a hidden ninja star. 3:00 pm Australia's most talented UpDog dogs in action! Having fun with your Dog, adding the odd trick to your joint repertoire, is what this canine-love thing is all about, right? But did you know it is also a fully-fledged sport? UpDog celebrates our play-based bone-buddy bond and is dedicated to expanding awareness and participation of people and Dogs in athletic endeavours. Put simply, UpDog wants more people and their Dogs having fun, playing together and more and more Dogs love jumping, running through tunnels, and performing incredible tricks via The UpDog Challenge. This unique, Dog sport is growing globally, combining the accuracy of frisbee-throwing with agility. In this highly entertaining show, we’ll see a range of games – including ‘Funkey, ‘Frizgility, ‘Freestyle and ‘Skipping’ – testing handlers and their Dogs, and teaching the six-legged teams how to work together to score points. And the ultimate trick to teach a Dog? Skipping. Rodney Gooch & the 4 Paws Sports Team have an incredible skipping Dogs demonstration as the finale to their show. It’ll be fun, fast and fabulous and definitely a show not to be missed.